Kansas Gov. Sam Brownback criticizes President Barack Obama's health care reforms during his State of the State address Tuesday, Jan. 12, 2016. Topeka ? Republican Gov. Sam Brownback used his 2016 State of the State address Tuesday night to deliver a stinging rebuke of President Barack Obama over foreign policy and national security issues, while signaling that he has no interest in expanding Medicaid under the federal health law commonly known as Obamacare. 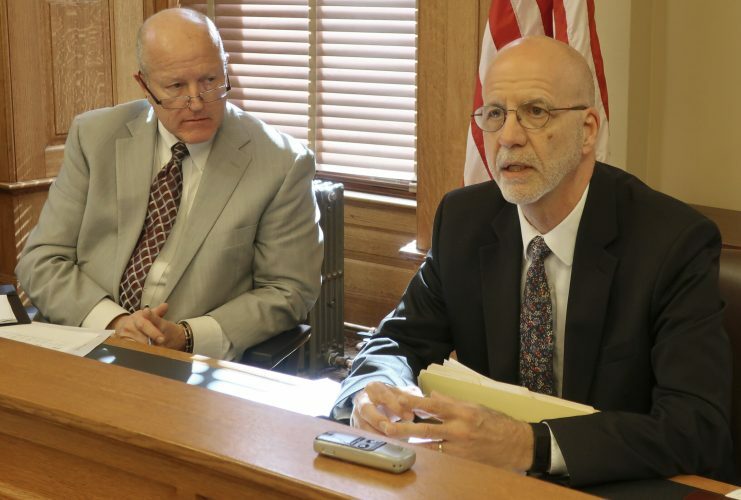 He also called on lawmakers to write a new school funding system based on merit pay for teachers, and announced that he has ordered the Kansas Department of Health and Environment to cut off all Medicaid funding for Planned Parenthood. The speech came a day after the start of the 2016 legislative session. But with the 2016 election cycle looming later this year, it appeared to be designed to mobilize conservative Republican voters by lashing out at Obama, who delivered his final State of the Union address hours later, at 8 p.m. 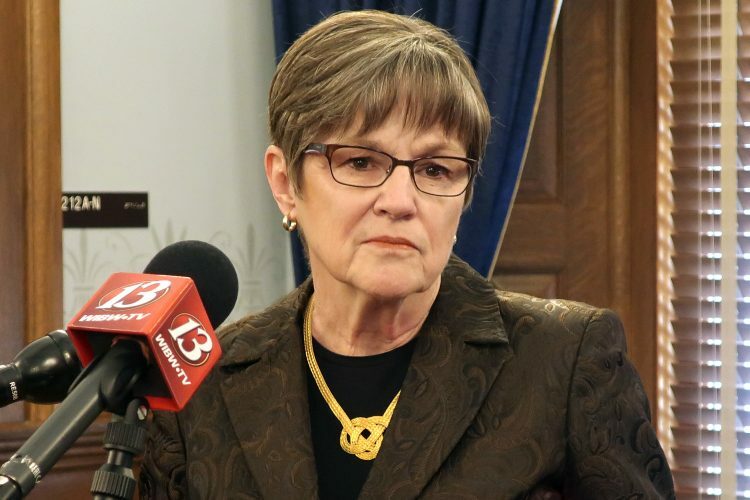 Among the budget items he asked lawmakers to approve was an unspecified amount of funding for enhanced security at the state’s National Guard facilities. 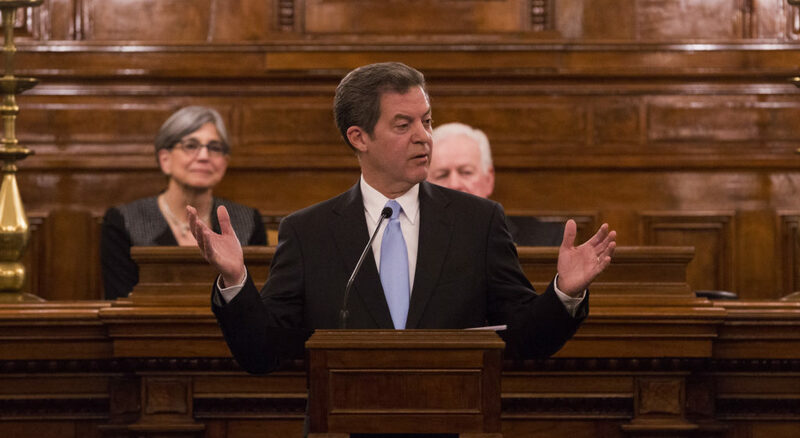 Brownback also called attention to his own recent executive orders barring state agencies from spending any funds to help resettle Syrian refugees in Kansas, an order that was later expanded to include any refugee who may pose a security risk. And he criticized the president for seeking to admit more refugees into the United States. “Instead of simply pausing his resettlement plan and working with the governors to address their legitimate security concerns, President Obama has chosen to pursue a path that puts Americans at risk,” Brownback said. On health care, Brownback touted his program to privatize the state’s Medicaid system, known as KanCare, but said he was not interested in expanding it, as allowed under the Affordable Care Act, which health care officials estimate would extend coverage to an estimated 138,000 Kansans who are now uninsured. “KanCare is working. ObamaCare is failing,” Brownback said. He went on to say that lawmaker should look for “a Kansas solution” to improve access to health care in rural areas, but gave no specifics. Instead, he announced that he was appointing Lt. Gov. Jeff Colyer to lead a task force on rural health care. In all, Brownback mentioned Obama or Obamacare at least a dozen times in the 30-minute speech, based on a review of the prepared text, a fact that some Democrats found astounding. Brownback did, however, tout what he said is evidence that his tax and economic policies are working. 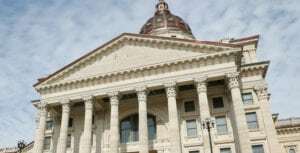 “More than half the people who were on welfare are now off it, and more importantly, they are getting out of poverty,” Brownback said. Brownback also outlined a number of policy issues he wants to pursue this year, including a new school finance formula that would include merit pay for the most effective teachers, a system that he said would ensure that more of the state’s education budget will go toward instruction. But bonus pay, or merit pay, has long been a contentious issue for teachers unions, as well as some school boards, who say that measuring a teacher’s effectiveness is more complex than it seems. Union officials have frequently argued that merit pay tends to reward teachers in more affluent districts, and punishes those who teach in inner city districts where more students live in poverty or come from non-English speaking families. 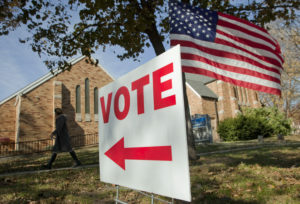 Brownback also called for a constitutional amendment to change the way Supreme Court justices are selected, an issue that has been on the conservatives’ agenda for several years in the wake of controversial Supreme Court decisions on school finance and the death penalty. “Kansas is the only state in the country where the selection of Supreme Court justices is controlled by a handful of lawyers,” he said. He was referring to the merit selection process now in place in which a nonpartisan panel made up of both attorneys and non-attorneys screens candidates and sends the governor a list of three nominees from which to pick. 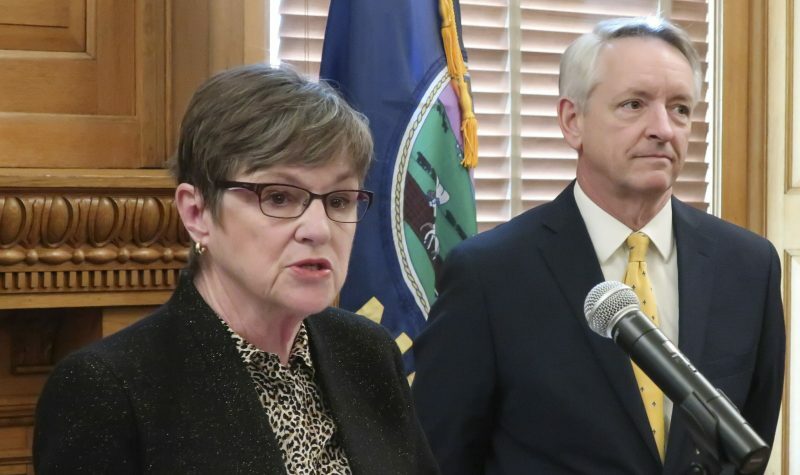 Noticeably absent from the speech was any mention of how Brownback intends to address the projected $14 million revenue shortfall in the current year’s budget, or the projected $175 million shortfall in the next fiscal year that begins July 1. Those details are expected to be unveiled during briefings Wednesday morning before the House and Senate budget committees. But Democrats were quick to criticize the lack of budget specifics in his speech. 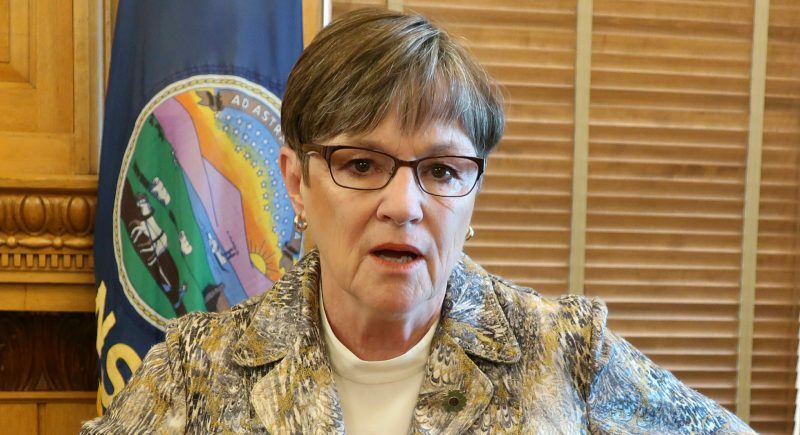 But Senate President Susan Wagle, R-Wichita, said she thought the governor was justified in focusing much of his speech on Obama. This story has been edited to correct the number of times the governor mentioned the president in his speech.